The WRRC provides consumer outreach in support of the raspberry industry in Washington. Upon completion of a new logo design, our focus shifted to support collateral for use in the organization’s marketing programs and during industry events. 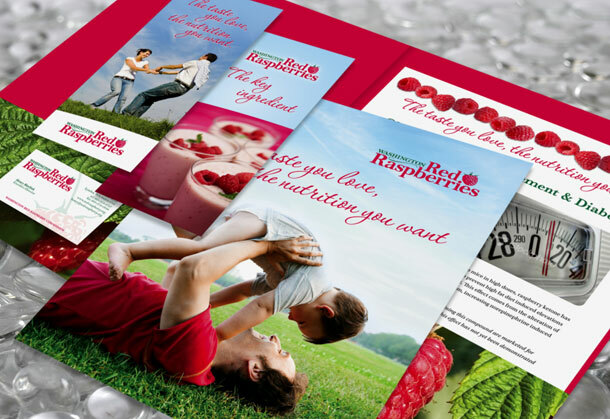 In addition to stationary and business cards, we developed a media kit that includes a pocket folder, informational sheets, and brochures targeted toward promoting the healthy benefits of raspberry consumption.